All the way back at the very rear of the ship are three hatches. 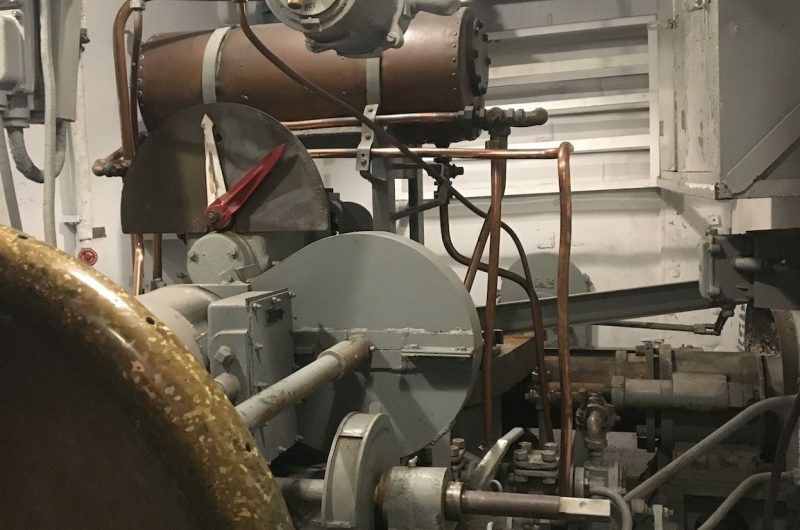 The hatch located on the centerline of the ship leads aft from the last compartment of the enlisted berthing quarters to the Steering Gear Room. 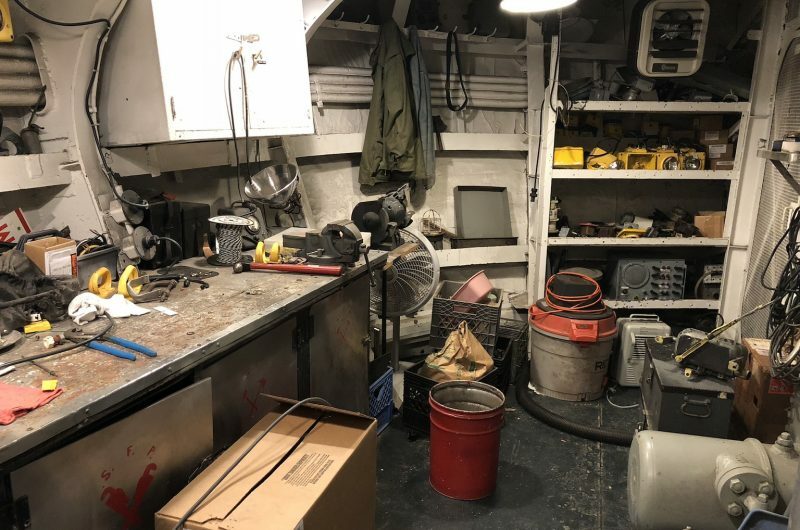 This is the room which you have heard so much about in relation to the bridge, the emergency diesel generator, the secondary conning station, etc. This is the engineering space which controls the rudder of the ship and allows the helmsman on the bridge to steer the vessel. 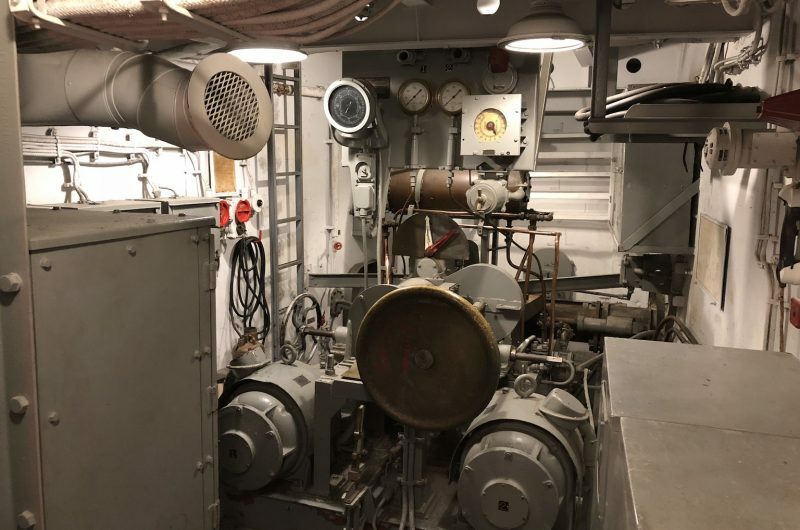 Should the bridge be knocked out by an attack, the men at the secondary conning station would give directions to the men in this compartment, who would then steer the ship manually from here. Once again you can see how back-up systems play a major role in the survival of a ship of war. The hatch located on the port side leads to the Ship’s Armory. 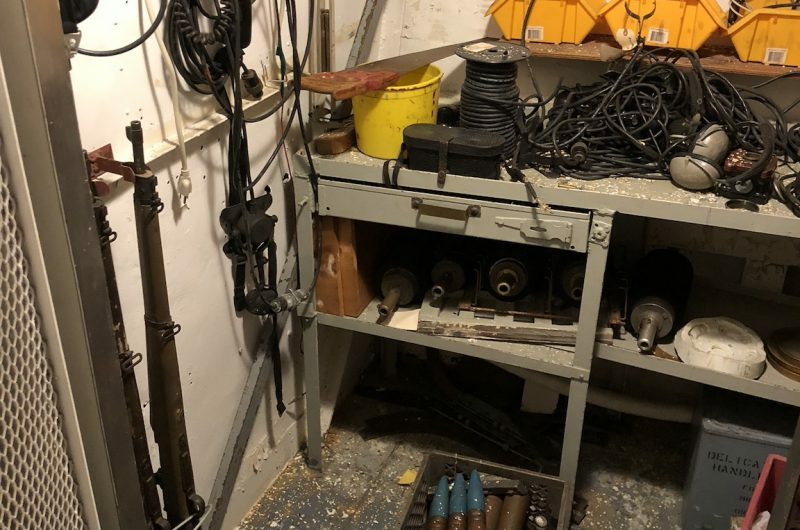 This is a space in which firing pins and spare parts for the ship’s many weapons systems were kept. It is filled with many different storage bins and drawers. The hatch on the starboard ship leads to the Shipfitter’s Shop. 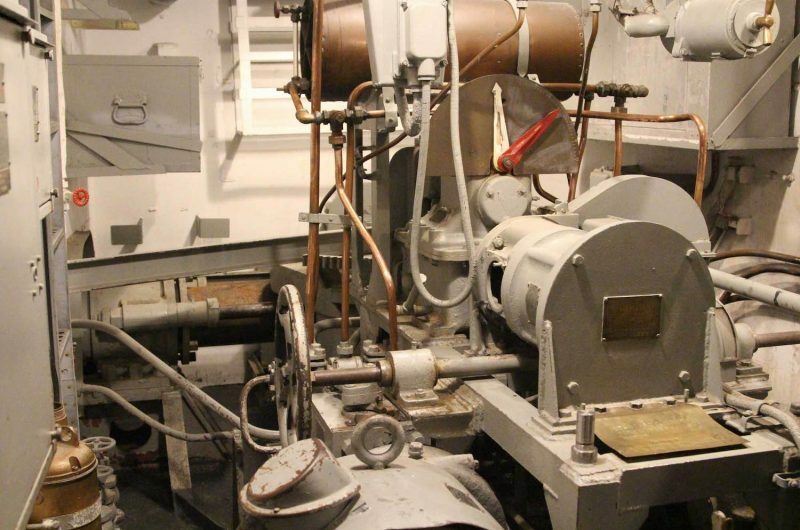 Here, the machinist’s mates and shipfitters worked on the various pumps, engines, valves, etc. that allowed the ship to operate.